Please join us for the Annual AmCham Mentoring Program Fireside Chat. This is a great opportunity to meet with business professionals who have made successful journeys into the Executive Suite, and are happy to share their experiences with us. Hear how executives have charted their careers, including all the twists and turns they've taken on the way to their current positions. They'll provide tips on how to build a career, handle tough decisions, and how to avoid some possible pitfalls. Our Mentoring Program is all about creating open discussions that assist career growth and personal development at work. The Annual Fireside Chat is a sample of the types of topics and interests we have to share. Come learn more, and stay for the mingle after. Casper Bue Bjørner was appointed Country Manager of The Walt Disney Company Nordic on November 1, 2009. 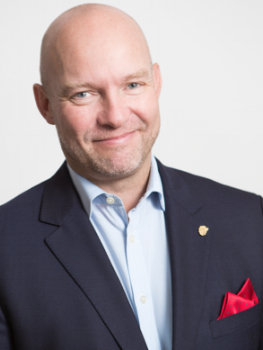 He currently oversees the company’s engagement in studio and stage entertainment, media distribution and consumer products across Sweden, Norway, Denmark, Finland, Iceland, the Faroe Islands and the Baltics. Bjørner joined Disney in 2003 as Marketing Director for the Disney Channels in the UK, Scandinavia and emerging markets. In addition to overall business strategy and operations, Bjørner specializes in franchise development, creative distribution solutions and new media. Prior to joining Disney, Bjørner served as Marketing Director of TvDanmark 1&2, part of the Danish division of SBS Broadcasting Group, one of Europe’s leading networks for commercial radio and TV broadcasting. During his career, he has also worked as the Nordic Label Manager for Columbia Tristar at Nordisk Film, a Scandinavian media company within the Egmont Group, one of the region’s largest media groups. Bjørner holds a Bachelor in Business from the Copenhagen Business School. He is a native of Virum, a suburb of Copenhagen in Denmark, and currently resides in Stockholm, Sweden with his family. 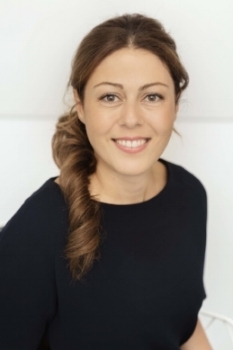 Ninoush Habashian is a member of Telia Sweden’s Executive Management team and is responsible for Customer Experience E2E, as well as the Customer Obsession cultural journey within the organization. This encompasses Telia Sweden’s digital transformation, digital sales and support services. Ninoush joined Telia in 2012 as a Global Product Manager with responsibilities for managing the mobile data and voice product portfolio for consumers in the Nordic and Baltic countries. Since then, Ninoush has had several different roles within the company's commercial sector. Before joining Telia, Ninoush held various positions in the commercial area and global product management in Piab, a global industrial vacuum technology company that serves multinational and small- to medium-sized enterprises. Ninoush holds a Master of Science in Engineering degree from the Swedish Royal Institute of Technology. Barbara Tönz is the Country Director for Coca-Cola AB Sweden. Barbara has been in this role for the past two years, and with her team, has successfully shaped the growth of the business in the Swedish beverage market. Prior to this, Barbara Tönz worked at Coca-Cola Hellenic, one of the largest Coca-Cola bottling companies. During her time at Coca-Cola Hellenic, Barbara excelled in several roles within marketing and sales, in both Switzerland and Austria as Commercial Director. Before this, she served in brand management positions at Unilever Switzerland. Barbara Tönz is Swiss, and graduated from the Swiss Federal Institute of Technology, ETH Zürich in 1995. She now lives in Sweden with her husband and two children.